We were told that this would be one of the most beautiful ferry rides in the world. So when we boarded the ship early in the morning we were very exciting. It was literally freezing but we stopped for a photo session on deck. You see Katrin and me posing in our cheap winter jackets. 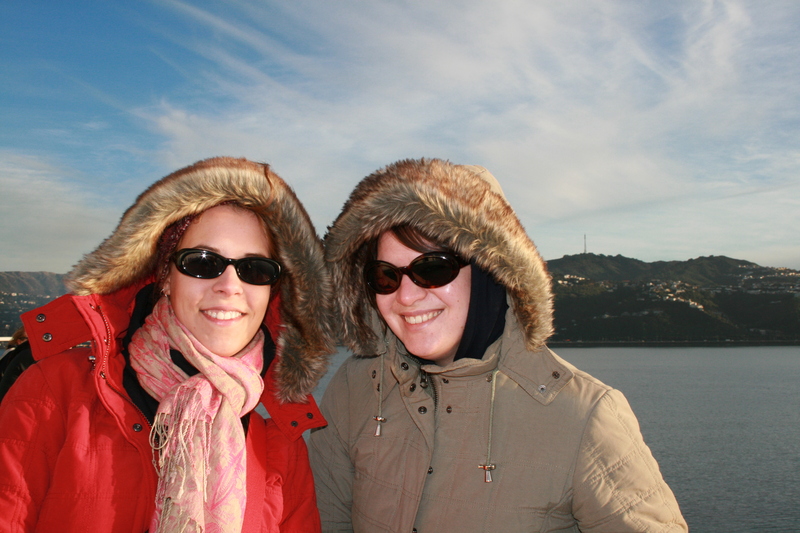 We hadn’t brought any proper jacket when we came to Australia and when we decided to go to New Zealand in winter we bought the cheapest winter jackets there were in Australia. I think they were about 40A$. Unfortunately the were about as warm as they were expensive. We always had to layer-up a lot. 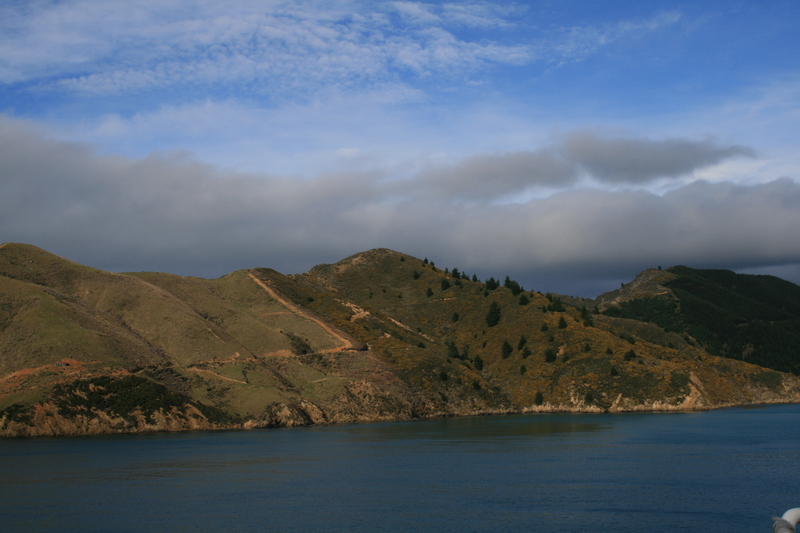 After the pictures we went indoors because as soon as you are out in the Cook Strait the weather can get quite stormy. But the crossing of the strait itself does not take very long and you can spend that time exploring the many facilities that the ferries have. And soon you are entering the Malborough Sounds and now the journey goes inland. The fjord you are now travelling through has a kind of outlandish beauty and even though it was really freezing outside we spend quite a while there taking pictures and just looking. In the end you arrive in Picton which is not a big deal of a town. The most important part for us was that it had a car rental where we had prebooked a car. Here is one advise when renting a car in New Zealand – and most likely anywhere else in the world but that was the first car ever that I rented: The person who’s credit card should be charged should have a driving license with them. Lucky enough they took my international driver’s licence, that is actually not valid without the real driver’s licence, in combination with my credit card. And off we went on our road trip. More about it tomorrow. 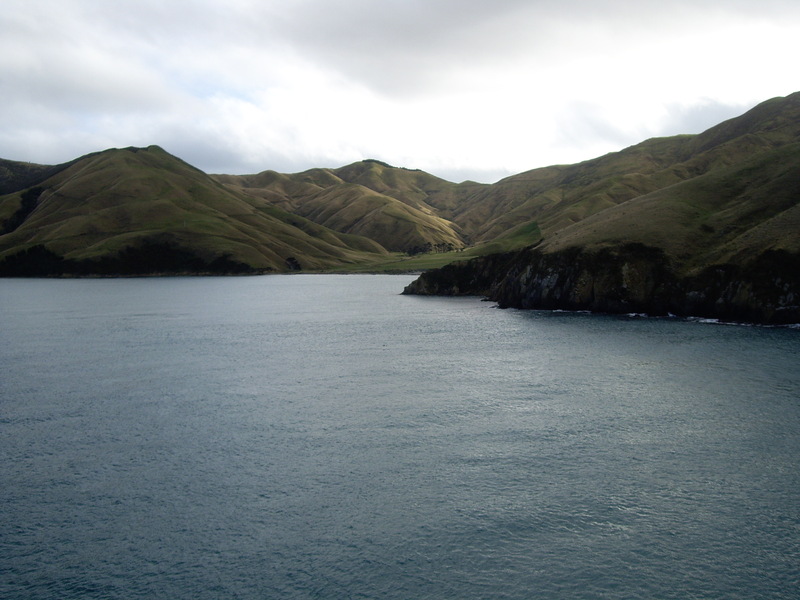 This entry was posted in New Zealand and tagged Ferry, Travelling by kathatravelling. Bookmark the permalink.